Coaches' Softball Game/Barbecue Picnics are open to all Closter coaches and their families. We invite all coaches to come to George Potterton Little League and enjoy a fun evening. Hotdogs, hamburgers, soda and beer will be served. Registration starts Friday, June 1st. Take advantage of the early bird fee and register by end of July. Click HERE for FALL SOCCER PROGRAM Info. 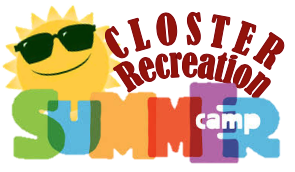 For camp calendar, lunch programs, policies and information, click HERE. For more info and to pre-register, click HERE.